"I give you Capricciosa, different kind of ingredient." Francesca Schiavone, one of the four great Fighting Italians of the WTA tour, retired from professional tennis this week. Schiavone combined style, athleticism and heart with such vitality and originality that it was hard to watch her and not feel some of the joy that radiated from her entire being when she was on a tennis court. Schiavone's path to greatness was impeded by a not uncommon obstacle: For years, she fought her way to finals, and then lost them. Losing eight finals was enough for the Italian, and she engaged a "mental coach" to help her. It worked. In 2007, she won Bad Gastein; in 2009, she won Moscow. And then, in 2010, Schiavone won the French Open, taking out Li Na, Maria Kirilenko, Caroline Wozniacki, and Elena Dementieva. In the final, she played the highly favored (but not by this writer) Sam Stosur, the player who defeated Schiavone in the first round of the 2009 French Open. Stosur had done a lot of heavy lifting in the tournament. The Australian had beaten the likes of Simona Halep, four-time champion Justine Henin, former champion Serena Williams, and Jelena Jankovic. Schiavone's straight-set win over Stosur was inspired. She had brought along Italian Fed Cup captain Carrado Barazzutti to help her (this decision was later echoed by Marion Bartoli when she chose French Fed Cup captain Amelie Mauresmo to accompany her to Wimbledon in 2013, when she won the title), and this proved to be a wise choice. During the French Open, Schiavone compared herself with Capricciosa pizza. "I don't give you margherita," she said. "I give you Capricciosa, different kind of ingredient." In the final, Schiavone--who was not troubled at all by Stosur's kick serve--continually rushed the net, gave Stosur back as much topspin as she recieved, and served extremely well (against one of the tour's best servers). Just shy of 30 years old, Schiavone became the first Italian woman to win a major. Her superb performance and her unbridled joy in winning turned her into an unforgettable champion (despite some cynical writers bemoaning the fact that she wasn't "marketable”). Her prone court-kissing photo is iconic. In 2011, Schiavone came very close to repeating her 2010 achievement. She defeated Jankovic, Anastasia Pavlyuchenkova and Marion Bartoli, only to be undone by Li Na in the final. Schiavone's excellence was also present in her participation on the Italian Fed Cup team, along with the other three Fighting Italians--Flavia Pennetta, Sara Errani and Roberta Vinci. That team won Fed cup in 2006, 2009, 2010, and 2013, defeating Belgium, the USA (twice) and Russia. Their fighting spirit and team cohesion was one of the wonders of Fed Cup competition. "We had success because we were different," Schiavone said of her Fed Cup team. "It’s not just forehand and backhand; it’s touch, it’s tactics, and strategy. You have to find the solution when there is a problem. It’s always about going through something where sometimes you understand what’s going on, and sometimes not. It’s a mix of talent, and big work." With her spins, lobs, slices, and leaps, Schiavone was a bigger-than-life model of the mix of talent and big work. She sometimes appeared to be indefatigable, and never did this quality appear more prominently than when she competed against another athlete's athlete--Svetlana Kuznetsova. 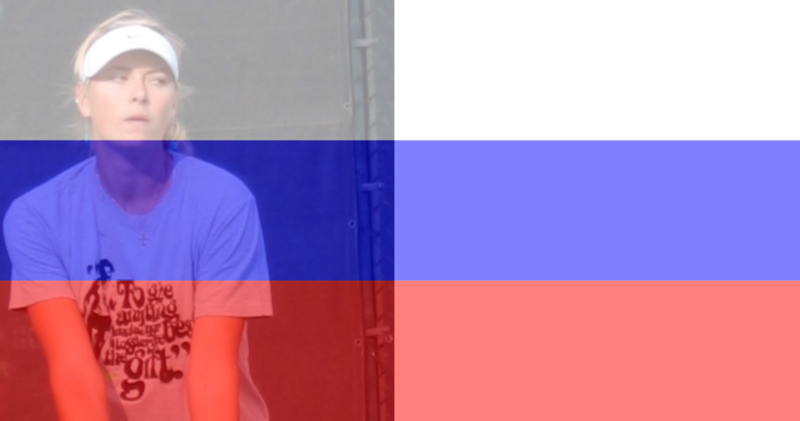 In fact, no profile of Schiavone would be complete without mention of the great Russian competitor. In 2011, Schiavone and Kuznetsova competed in an Australian Open round of 16 match that totally deserves the description "instant classic." Schiavone had very recently injured her groin and would experience groin pain throughout the match; Kuznetsova's feet were covered with blisters. They played for four hours and 44 minutes, which is a feat in itself, but--more important--every moment was an exhibition of high quality, sometimes stunning, tennis. At one point, when Schiavone served for match, she had to stop and call for the trainer. Both players, in fact, had to call for the trainer during the match. The third set lasted exactly three hours. Schiavone won that match, 6-4, 1-6, 16-14. It was the longest ever played in the Open Era (althoug hthe second-longest match in the Open Era had been played the previous year--also at the Australian Open). And while--for some reason--it's rarely mentioned, the pair did another version of this match in 2015, this time at the French Open. In the second round, they played for "only" three hours and 49 minutes. Schiavone won this one, too, 6-7, 7-5, 10-8. And once again, the quality of the tennis was stunning. "Everyone loves me, and I didn’t know this." Francesca Schiavone won a total of eight singles titles and seven doubles titles. She reached the doubles final of the French Open (with Casey Dellacqua) in 2008. Her highest singles ranking, number 4 in the world, came in 2011; her highest doubles ranking, number 8, was achieved in 2012. Statistics, however don't define players. And they certainly don't define Francesca Schiavone, whose beautiful one-handed backhand wreaked havoc on many opponents throughout her career, and whose athleticism, combined with her ability to construct points, made her a joy to watch. In announcing her retirement, the Italian star said: "For me, it's a very important moment of my life. I arrived at this decision, to say goodbye to tennis, with my heart. Because my head, when I arrived here, said 'Please go to the court, to fight.' But my heart says that I am in peace like this. I am very happy about my career, my life, and everything." "When I was 18 years old, I had two dreams," Schiavone explained. "The first one was to win Roland Garros, and the second one was to become Top 10 in the world. And I completed them, so I'm very, very happy, and lucky." "Everyone loves me, and I didn’t know this," the great Italian player said at her final tour press conference. I'm glad she knows it now. Count me as one of the people who will miss her. Loved watching her play, she would always give it her all!